From a very young age, Elizabeth Berthoud has displayed a gift for seeing things "not as they are, but as they could be". Her first ventures into the world of design began when she about ten years old. It was not unusual for her to spend hours at her mother's sewing machine creating and designing apparel. In high school she designed her prom dresses, and supervised the construction. This love of design was further nurtured at Endicott College , Beverly MA, where she pursued fashion design and secured an internship at the Donna Karan design studio in New York City. Along with her love of design, Elizabeth was also cultivating a love of everything french, including her soon to be husband. Elizabeth put her design career on hold to focus all her energy on her family.With her four children in school full time, she now finds herself experiencing an empty nest from 8-3 each day, and once again the love (need) to design is there. 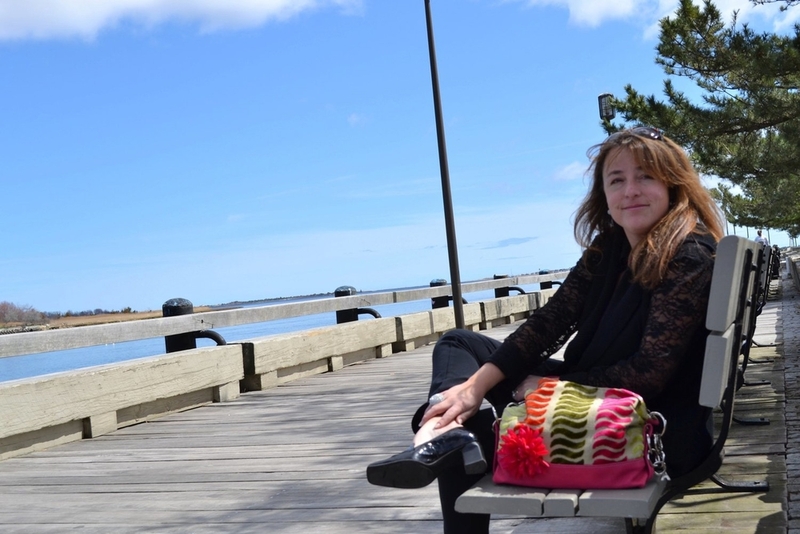 With her new found free time, Elizabeth has created "sac A main", one-of-a-kind or limited edition handbags made from the most delicious fabrics. All accent pieces and trims are crafted from the highest quality materials. These handbags are fun, chic and elegant. All of the bags and accessories are handmade by Elizabeth with great attention to detail and craftsmanship. She invites you to browse this website and to contact Elizabeth for information on purchasing, special orders and hosting your own sac A main boutique at your home.